Deemed a UNESCO World Heritage site in 1983, The Taj Mahal is undeniably one of the world’s most symmetrically pleasing structures known. Allow yourself to be filled with serenity as you wander past the peaceful reflecting pool and gaze upon the massive ornamental domes that tower above. Admire the lavish landscape, groomed to perfection with vertically cut trees. 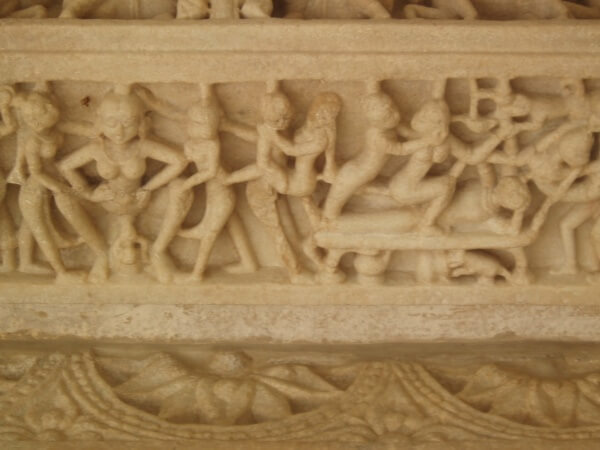 Understand the rich history behind the constructed mausoleum, signifying India’s deeply celebrated heritage. India is famous for its marketplaces, or bazaars, that each visitor with a sensory experience of the region. Your eyes will marvel at the various colors, your nose will inhale the most vibrant aromas of spices, and the bustle of the streets will give you a burst of energy. Have you ever had such a unique means of transportation! When you visit Amer Fort, you will travel on the back of an elephant in order to reach the destination. Enjoy the historic Hindu elements of this Palace as well. Take a boat ride on the sacred Ganges River. 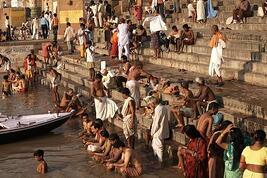 Hindus consider the Ganges the elixir of life, bringing purity to the living and salvation to the dead.